I like my coffee. But, as fall approaches, there is something nice about a hot cup of tea. 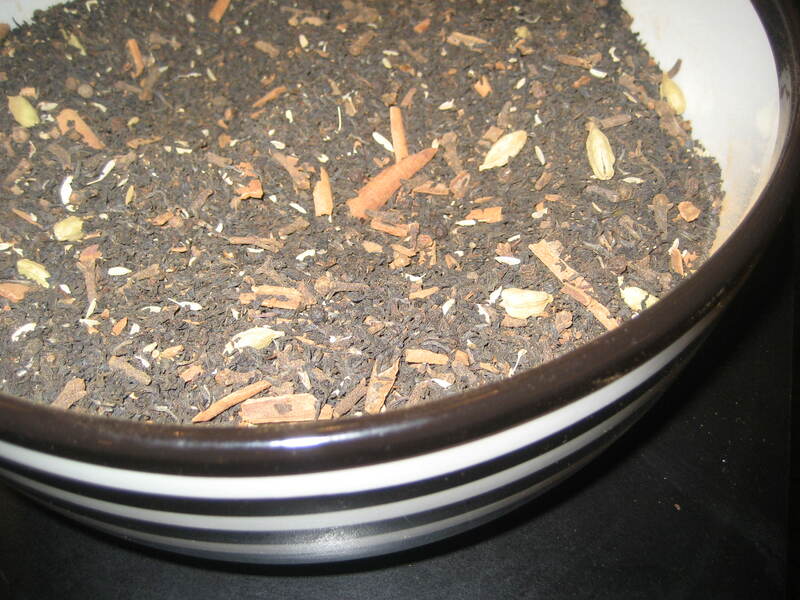 If you join me around my dining room table during the fall or Christmas season, I will probably offer you some Christmas Chai tea. I call it Christmas Chai because I make it at Christmas time. 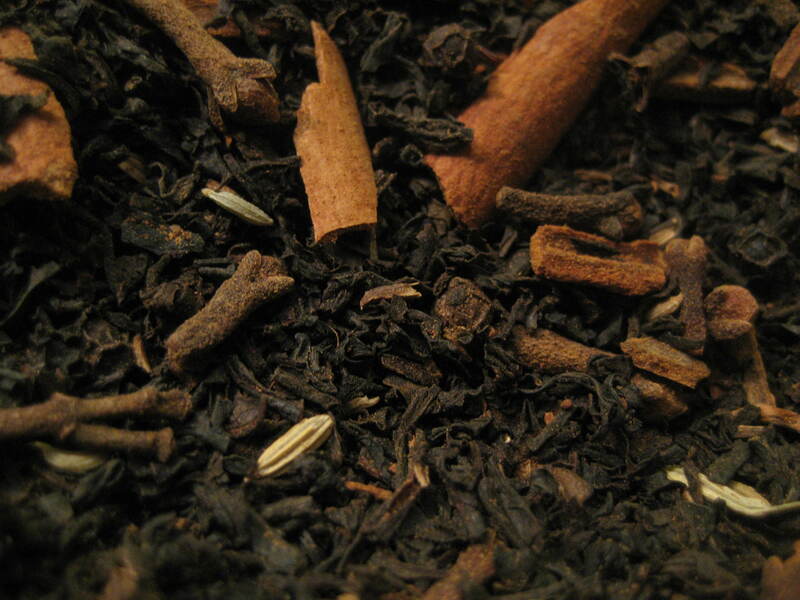 The flavors are perfect for the holiday season – warm, delicious cinnamon, ginger, cloves, nutmeg…. Here’s the recipe below. The amounts are estimates. (I never measure things like this. I just dump it in until it looks right.) 🙂 So grab your favorite loose leaf black tea. There’s so many flavors in this mix that the stronger the tea the better. Dump everything in a bowl. Mix. Simmer for 5 minutes in a saucepan with 1 tsp. of tea mix to 2 cups of water. If desired, sweeten with brown sugar and a touch of milk. Mmmm. I can smell the sweet and spicy goodness now.